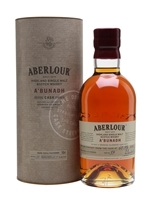 The Aberlour A'Bunadh range is a love letter to the distillery’s original style of whisky, made with 19th-century methods and matured solely in sherry casks. 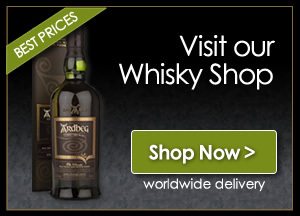 Each small batch in the range is based on the contents of a bottle from the late 1800s which was allegedly discovered by workmen almost a century later and analysed in a lab – after the workmen had drunk most of it, of course. Every limited-edition batch of this no-age-statement single malt is slightly different, but all are distinguished by a rich and sweet character thanks to their sherry incubation. This edition, Batch 59, is slightly lower in alcohol than its predecessors and delivers spice, orange and sherry on the nose, followed by cherry, ginger and chocolate flavours and a robust long finish. In case you were wondering how to pronounce A’bunadh, a Gaelic word loosely translating to ‘original’, it’s ah-boon-arh.